December 26, EMAD-Y vessel exported nearly 4,000 tons of wheat grown in Crimea in 2017 from the Kerch port which is closed by Ukraine . This cargo, subject to sanctions, is to be delivered to the port of Tripoli (Lebanon). December 22, 2017, the EMAD-Y (IMO: 8204676) vessel entered the Kerch port closed for the portcalls at about 11 o'clock Kyiv time. The vessel was leaded by the Mustafa Kebresli captain to the Kerch fishing port and had been left near the grain terminal at wharf No.4. Wheat was loaded with a volume of about 4,000 tons to the holds of the violator vessel. December 26, 2017 about 14-30 Kyiv time the vessel EMAD-Y left the Kerch fishing port. The cargo is intended for the recipient in the port of Tripoli (Lebanon). 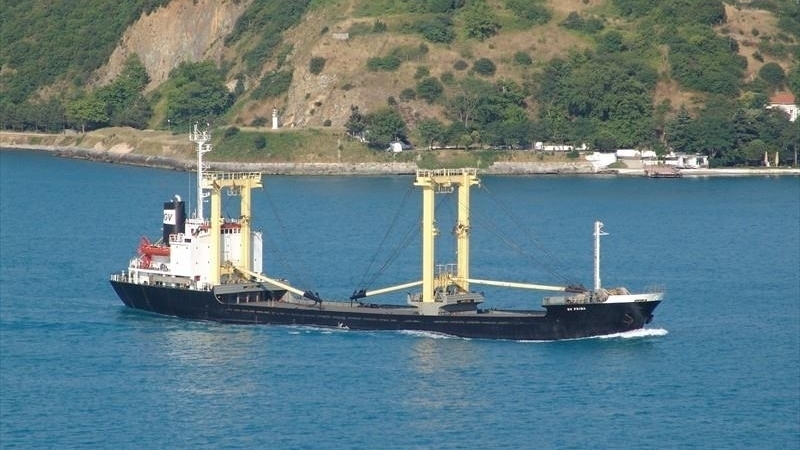 The ship violated not only the sovereignty of Ukraine, having committed an illegal portcall with unauthorized removal of a large amount of cargo from the occupied territory of Crimea, but also bended the safety rules of shipping by carrying out these sea operations with the AIS switched off. This is the second consecutive entry of the offender into Kerch, the previous illegal portcall occurred on November 3 at around noon Kyiv time. Reportedly, Cedar Marine Services SAL (IMO: 5901913) Lebanese company is the vessel operator.